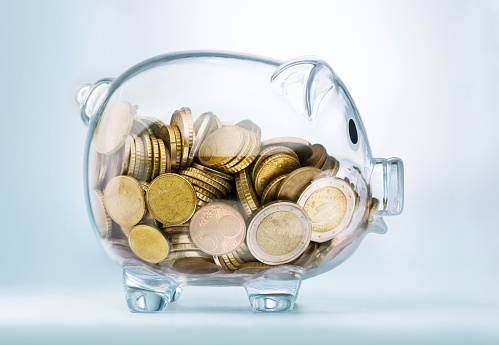 Savvy savers are planning to save both in their pension plan and in the Lifetime Individual Savings Account (LISA), following its launch this April. The new LISA has been designed as a savings vehicle for those aged 18 to 40 who want to save up to £4,000 a year. The government offers a big incentive by adding a 25% bonus, meaning that for every £4 saved, the government adds £1. The money can be used to buy a first home worth up to £450,000, or individuals can continue to save and receive the 25% bonus until the age of 50. 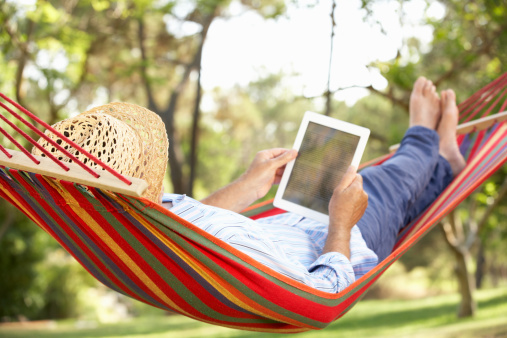 If the money is accessed after age 60, it can be taken tax-free. If it’s accessed before age 60, unless it is being used for a qualifying home purchase, the government bonus will be lost and a 5% charge will be applied, though with no charge for exit during the 2017-18 tax year. The government has been careful to point out that the LISA is not a replacement pension, but an additional way of saving, to either purchase a property or help save for retirement. Saving into a pension as well as a LISA makes sense. Pension contributions can continue to be made up to age 75, but saving into a LISA must stop at age 50. Workplace pensions have the big advantage that employers can also contribute. So, deciding to opt for just a LISA could mean missing out on this valuable extra free cash, and restricting the number of years you have left to build up your savings for retirement. The LISA has a maximum contribution of £128,000 (before bonus) and a £4,000 annual limit that comes out of your ISA allowance (£20,000 for the 2017-18 tax year). When it comes to your pension, there is a lifetime limit of £1m (contributions plus growth) and in most cases an annual allowance of £40,000. The main advantage of keeping a LISA going until retirement is that you can withdraw all the money tax-free from age 60 onwards. With a pension, 25% is free of tax, however you can access your pension pot from age 55. If someone chooses not to contribute to a pension they might lose out on employer’s pension contributions where they have a personal pension and an employer matching contribution structure is in place. People on means-tested state benefits also need to carefully weigh up the impact of taking out a LISA as opposed to saving in a pension. The days when people began their careers with one employer and stayed there until they retired are long gone. It’s estimated that depending where you live, people now have an average of between six and 11 different jobs during their careers. This can mean that over the years they end up with pension entitlements in several schemes with different providers. In certain circumstances, it can make good financial sense to consolidate your pension into one new plan. This means you can manage all your retirement savings in one place, reducing the paperwork and administration. You might be able to save money on fees, and choose funds that are better suited to your investment outlook and attitude to risk. However, there are circumstances where this might not be in your best interests. If you are in a public sector pension scheme, such as the nurses’ or teachers’ schemes, then the benefits they offer can be hard to replicate elsewhere. Or, if you have saved into an employer final salary scheme, you may find that it offers guaranteed retirement income or guaranteed annuity rates, valuable benefits that you would lose if you moved it elsewhere. You may be charged exit fees too. If you are lucky enough to be currently contributing to a final salary scheme, it’s worth finding out if your employer will allow past contributions from other pensions to be moved into their scheme. If you move jobs, you may be able to consolidate your previous pensions into your new employer’s scheme. You should think carefully before doing so; you will need to be sure that the benefits offered are as good as those in any scheme that you contemplate leaving. Taking professional advice will help you weigh up your options and make the right choice for your financial circumstances. Your adviser will be able to help you understand the costs, benefits and risks involved in moving any of your pension pots. 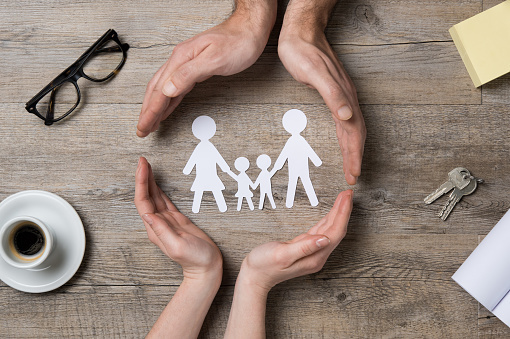 A recent study shows that many families are overlooking the benefits that protection insurance policies can provide and the peace of mind they can bring. Life cover may be one of those things you’ve been meaning to sort out for a while but haven’t yet ticked off your list. It’s undoubtedly one of the most important financial products anyone can take out, and one of the best ways of leaving loved ones provided for financially. Whilst most people understand the need to have life insurance in place if they have a big financial commitment like a mortgage, many more are overlooking or unsure of the benefits that other types of insurance cover can provide. Life insurance and critical illness cover can be a vital buffer against life’s unexpected events, providing much-needed funds on death, or the diagnosis of a critical illness. But that’s not all; there are other policies available that can provide much-needed financial support for families if they are hit by unforeseen problems such as an accident, sickness or unemployment. There are life policies that provide lump sums, and policies such as family income benefit that instead pay a regular income in the event of your death during the term of the policy. You can also protect your income, so that if you can’t work due to illness or injury you receive a monthly income that’s paid until you can return to work or reach retirement age. The great thing about protection policies is that the cover can be tailored to meet your needs throughout your life. We often find that our clients’ insurance requirements change when they buy a property or have a family, take on more debt or change jobs, and we help them get the cover they need at every stage. Finding the right policy that provides the right level of cover and represents good value for money can be hard on your own; why not let us help you find the best policy for your needs? 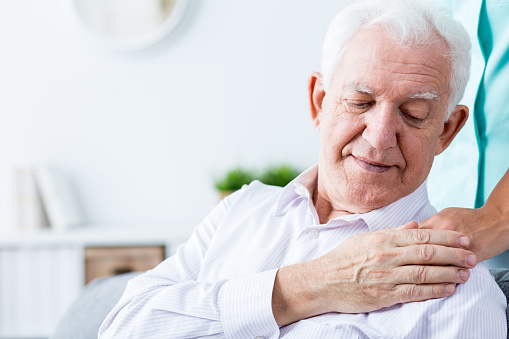 There has been a huge rise in the number of Lasting Powers of Attorney (LPA) created, prompted no doubt by 2016 figures showing that dementia and Alzheimer’s disease have overtaken heart disease and cancer to become the biggest cause of death in the UK. Figures for the first eight months of 2016 show that there had been over 300,000 LPA registrations, and 441,500 were registered in 2015, compared with just 36,000 during the whole of 2008. In the same way that a Will protects your loved ones after you pass away, an LPA is designed to protect you if, whilst still alive, you lose the ability to make financial or care decisions on your own behalf. Making an LPA allows you to choose someone you know and trust to make important decisions should you be unable to do so. There are two types of LPA, one covering property and financial matters, the other dealing with health and welfare. You can choose to make one or both types. You will need to appoint one or more people to be your attorney; these can be relatives or friends, your spouse or partner, or a professional adviser such as your solicitor. Whilst many people are tuned into the benefits of having an LPA in place, many people aren’t; they automatically assume their loved ones could step in and deal with their financial affairs and decisions about their health and welfare. However, if you lose mental capacity and haven’t made an LPA (or a pre-October 2007 Enduring Power of Attorney, applicable only to property and financial matters), a family member would have to apply to the Court of Protection to be appointed as your Deputy. The role of Deputy provides reduced powers and an annual fee is payable, it can also take months to put in place. If an acceptable Deputy can’t be found, the local authority is appointed. They will then be given access to your financial affairs and can decide matters such as where you live and what care you receive. 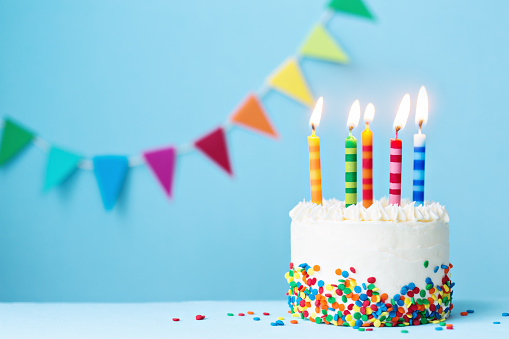 Last November, the Junior Individual Savings Account (JISA) celebrated its 5th birthday. In the 2015-16 tax year alone, over £920m was paid into 738,000 accounts, and the average amount saved was £1,248 per account. JISAs have proved very popular as a means of saving tax-efficiently, not least because once they have been set up by a parent or legal guardian, anyone can then pay into the account. This makes them an ideal way for parents, family members and friends to contribute towards a child’s future. They represent a great way to start a fund for big expenses, such as university fees or the deposit for a home. Your child can have a Junior cash ISA, a Junior stocks and shares ISA or a mixture of both and save up to a total annual allowance of £4,128 in the 2017-18 tax year. With a cash JISA you are guaranteed, within the applicable Financial Services Compensation Scheme limit, to get back all the money you have put in – but with interest rates continuing to remain very low, there is a risk that inflation, which has risen in the last few months, will erode the value of the money saved over time. Some financial commentators are predicting that inflation could rise to 3% in 2017. If it does, to keep up with this rise in the cost of living, your cash JISA would need to match this rate. If you can lock the money away for a reasonable amount of time – a minimum of five years, for example – it is often better to invest in stocks and shares which historically have offered a better rate of return. Unlike cash, money invested in stocks and shares rises and falls with stock market prices, meaning your investment can go up and down in value. By saving into a JISA on a regular monthly basis, there is the opportunity to smooth out the peaks and troughs in the stock market. The value of investments can go down as well as up and you may not get back the full amount you invested. The past is not a guide to future performance and past performance may not necessarily be repeated. Research from a major insurer has thrown an interesting light on how pensioners are finding retirement. The good news is that 94% of recent retirees surveyed report that they are really enjoying their later years. However, 41% say they regret mistakes they made in planning for their retirement. In some instances, these mistakes have meant they are facing financial struggles that could have been avoided. can afford to. Getting an accurate state pension forecast is important too; many people overestimate how much their state pension will actually be worth, and aren’t sure at what age they will receive it. When people look back on their working lives, they can sometimes feel a sense of regret that they didn’t put more money aside early enough in their careers. It’s true that for most 20 year olds the thought of saving for retirement isn’t even on their radar. However, the younger you are when you start to save, the more time your money has to grow. Thanks to what Einstein referred to as the ‘8th Wonder of the World’, compound interest, even small sums saved whilst you’re young can steadily mount up over the years. It’s a good idea in the years preceding your retirement to work out how much you are likely to need to fund the lifestyle you want to enjoy in your later years. True, some costs like travel to work will decrease, but others such as heating bills are likely to rise. Putting together a budget that includes household expenses, and takes into consideration how much you’re likely to spend enjoying your increased leisure time, will help you plan and save more appropriately. It’s important to factor in the likely cost of future care needs too. Under the pension rules introduced in April 2015, those planning their retirement have more choice than ever before in how and when they access the funds built up in their pension pot. However, for many, the options can be confusing and difficult to evaluate. It’s never been more important to make the right decisions at retirement. Increased life expectancy means that people retiring today can expect to have several decades of active life ahead of them. Making sure that their funds don’t run out too soon can often be a major concern. Getting good independent financial advice can help ensure that you have a plan in place that meets your likely pattern of expenditure, and keep funds in reserve in case you need to pay for nursing or residential care. If you save with a UK bank or building society, more of your money is now safe. The amount the Financial Compensation Scheme (FSCS) protects for deposits has increased by £10,000. The increase from £75,000 took place on 16th January. The FSCS now protects up to £85,000 held in banks, building societies and credit unions. Joint accounts will benefit from the increase with a new limit of £170,000. Importantly, the FSCS limit only applies per banking licence, rather than per bank, so you are only covered for £85,000 of savings across both HSBC and First Direct, for example. It is estimated that the new limit protects about 98% of the UK public, giving savers the confidence that money they have on deposit is safe. The level of protection was fixed at €100,000 in 2010. Initially that translated to £85,000, however the euro fell, meaning the limit was cut to £75,000 on 1 January 2016. The latest change was prompted by the slump in the value of the pound against the euro following the Brexit vote last June. It is important to take professional advice before making any decision relating to your personal finances. Information within this newsletter is based on our current understanding of taxation and can be subject to change in future. It does not provide individual tailored investment advice and is for guidance only. Some rules may vary in different parts of the UK; please ask for details. We cannot assume legal liability for any errors or omissions it might contain. Levels and bases of, and reliefs from taxation, are those currently applying or proposed and are subject to change; their value depends on the individual circumstances of the investor. The value of investments can go down as well as up and you may not get back the full amount you invested. The past is not a guide to future performance and past performance may not necessarily be repeated. If you withdraw from an investment in the early years, you may not get back the full amount you invested. Changes in the rates of exchange may have an adverse effect on the value or price of an investment in sterling terms if it is denominated in a foreign currency. Taxation depends on individual circumstances as well as tax law and HMRC practice which can change. The information contained within this newsletter is for information only purposes and does not constitute financial advice.